(BALLE – Business Alliance for Local Living Economies) Matt Stinchcomb is about to launch Etsy-dot-org. Unlike many business conferences where attendees just sit passively listening to speakers, at the BALLE Conference attendees are true participants invited to share their knowledge and perspective to develop applicable solutions and executable plans. In the Magic, Soul, and Inspiration track, Matt Stinchcomb, the founder of the new Etsy.org foundation endowed by Etsy stock, is seeking participants’ counsel on the creation of an open-source entrepreneurship curriculum and a local regenerator program that will be piloted in the Hudson Valley next year. As cofounder and current VP of Values and Impact, he has spent years cementing the online, million-member marketplace as a mission-driven company. Yet Stinchcomb feels something still missing: direct, local engagement of communities struggling to find harmony. Business, says Stinchcomb, is not yet a “regenerative” local force. But he is working on a platform for that. “What we’re trying to develop is an organization that empowers people to build regenerative enterprises.” A notion, he argues, that scarcely exists today, in the most progressive companies. So how do we actually move towards the framework of regeneration? Says Stinchcomb, it requires a different way of looking at your world and your relationship to it. His group is developing a curriculum that would be customized for each place that it’s engaged. The format: a fellowship of entrepreneurs, mentors, and financiers follow a two-year path to developing a business with a regenerative, interconnected view of the world. “They’d start by going really deep in one place – knowing the history of it, the geography, talking with lots of people, talking to customers, understanding what does this community really need?” Exercises would incorporate personal and spiritual development, and a profound sense of place guided by those who’ve lived there longest. “I like the idea of bringing everyone along for the ride – it’s not sending a business on an intense two week training and then putting them in front of investors they’ve never met and saying ‘hey can I have money for this.’ I think if you take the time to build these deeper relationships, and you do it in a way that’s thoughtful and taking a longer term view, that’s how we’ll move to a place of regeneration of local community. “Once we have an approach that works we put the curriculum online, open source the whole model, and then work with other communities.” As envisioned, this “regenerator” program will be backed up with financial commitment, bringing together stakeholders ranging from Etsy Inc. to next door neighbors, and in a way co-create the business with the entrepreneurs. The pilot region has already been identified: the Hudson Valley, some 90 miles upriver from New York City. 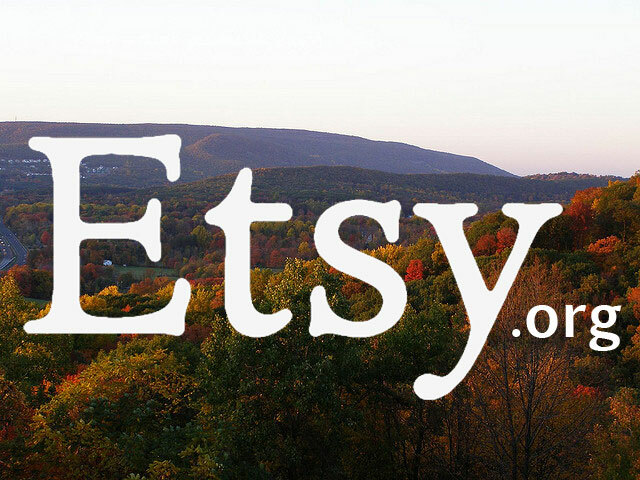 Would this mean the end to the Values and Impact program at Etsy Inc.? Stinchcomb demurs. Even as Etsy goes public? “Yeah,” says Stinchcomb. May 13, 2015 in Local Economies.